Debbie Lee Dance Company DLDC, formerly DNC Dance Nouveau Co. is a Vancouver, British Columbia based educational and training organization that is dedicated to the classical, cultural and contemporary performing dance arts at all levels of learning. The programs are dedicated to providing progressive training to a diversity of students and ages of individuals, whether it be for recreation to pre-professional or professional. We are dedicated to providing a strong foundation of physical training, artistic guidance and mentorship. Our programs stresses proper safe dance techniques to build physical strength. Our students have the opportunity to be a part of small class that is focused, disciplined and progressive where we can help develop, inspire and provide excellence to the art form. 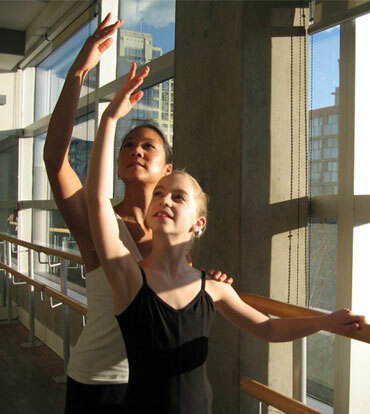 In addition to having the opportunity to have our training facilities in Vancouver’s Kitsilano District for our outreach community recreational children’s programs, we are very proud and privileged to be able to train out of the state-of-the-art facilities where we call home, Scotia Bank Dance Centre – The Dance Centre, Yaletown downtown Vancouver. Students are able to be actively supporting and be a part of our growing artistic creative community.